[ltr]Dulaimi arrived on Thursday in Muthanna province at the head of a high-level delegation, which included the ministry's deputies and a number of general managers. "The decision to increase the number of villages covered to 20 villages instead of 9 villages was supported," said Dulaimi. "Following the results of the rural development survey carried out by the ministry in Muthana province and the high rates of poverty, In the villages, "noting that" this support will contribute to the achievement of rural development and start from the implementation of projects in general. " The Minister of Planning pointed out that "the indicators presented by the Rural Development Survey carried out by the Ministry clearly confirm that the rural situation in Al-Muthanna province is depleted and suffers from the increase of poverty to more than 70% in some villages and it needs a lot of support to provide basic services and enable Community access to those services. " He added that "this visit to the province of Muthanna came in order to stand close to the reality of the province, which suffers from significant development problems, and high rates of poverty and deprivation, and work on the basic service projects to achieve as soon as possible and as the economic and financial conditions of the country." 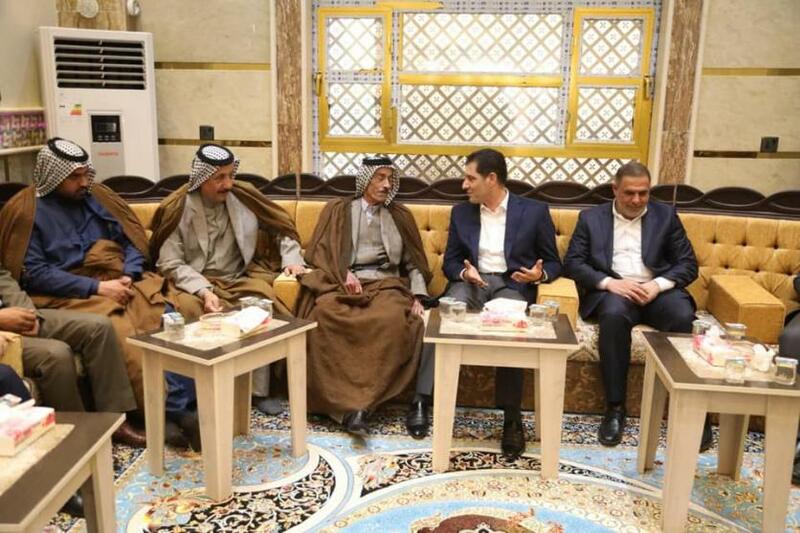 Al-Dulaimi called for "the local government in Muthanna province to unite efforts and focus, in the implementation of these projects and provide services to citizens," stressing that "the ministry will do all its potential to support all the provinces and compensation for deprivation and lack of services that were facing."
. The Ministry's undersecretaries and a number of its directors-general. "Our decision to increase the number of villages covered to 20 villages instead of 9 villages was supported," said Dr. Dulaimi. "The results of the rural development survey carried out by the ministry in Al-Muthanna governorate and the increase in the poverty rate have increased. Villages in large .. indicating that this support would contribute to the achievement of rural development and start from them in the implementation of projects in general. The Minister of Planning, the implementation of service projects through funding from the Social Fund for Development will depend primarily on the role of communities in identifying these projects and the need for the required services, and civil society organizations will also have an active role in this important development process .. Calling elders And tribal leaders to support the government's efforts in this area.